Jeppesen Marine has unveiled updated (CM93/3.883) C-MAP Professional+ for MaxSea 12.6. The latest evolution in C-MAP charting technology from Jeppesen Marine is an advanced electronic charting standard designed for high performance navigation systems. About C-MAP Professional+. C-MAP Professional+ is an innovative and dynamic worldwide vector chart database produced by Jeppesen Marine, and is mostly derived from paper charts. The coverage is continuously being expanded and new kinds of supplementary data are frequently added the product. Over the past twenty years, more than one million navigators around the world have put their trust in C-MAP by Jeppesen electronic charts - making their time on the water safer, easier and more enjoyable. C-MAP vector-based charts offer unrivaled navigational detail and are compatible with most brands of chart Descriptionters and PC-based navigation systems. Exclusive value-added data, above and beyond base navigation charts, make C-MAP by Jeppesen information solutions indispensable. This product is distributed in the Jeppesen's DNV type approved SENC format, CM-93/3. SENC distribution makes the chart data available and secure in a data format ready to be used on the ECDIS/ECS, and is supported by the majority of system brands on the marked. Professional+ is delivered on one DVD. About MaxSea Products. 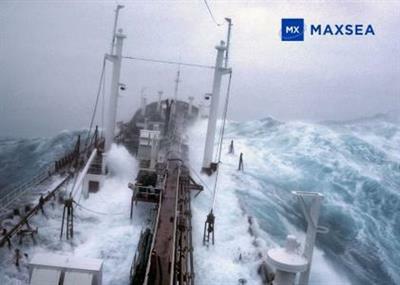 MaxSea combines advanced weather technology and the most responsive electronic chart and marine instrument support in the industry with solution-specific capabilities such as seabed classification and buoy tracking for commercial fishing, performance routing for sailing, and AIS integration for commercial vessels. About MaxSea International. In 1984, Brice Pryszo, naval architect and computer enthusiast, has developed a routing algorithm calculating the fastest route to navigate from one point to another depending on boat polars and weather forecasts. MaxSea International and the electronic chart software MaxSea were born in 1985. In 2008, the software is completely reinvented and a new generation based on the latest technology was created: TIMEZERO. At TIMEZERO MaxSea is being the leader in the invention and development of the industry's most advanced information technologies, including marine navigation and electronic charts. Worldwide market leader, MaxSea International has strongly developed worldwide offering a range of products for all three maritime sectors: recreational, fishing and shipping. With over 40,000 installations worldwide, TIMEZERO software is sold in 25 countries on 5 continents. They are available in English, Spanish, Portuguese, Danish, Italian, Norwegian, Swedish, Dutch, French, Icelandic, German, Chinese and Thai. Haidang Co., Ltd. became the Authorized Distributor of MaxSea International since 2010.